Charles Darwin came up with some ingenious experiments to prove his theory of evolution. Jimmy Doherty attempts to recreate some of these investigations. When Charles Darwin set about proving his theory of evolution, he had none of the advantages of modern genetics or DNA analysis so he came up with some ingenious experiments of his own. In this series, Jimmy Doherty recreates many of these investigations. Jimmy takes a hands-on approach as he digs up a patch of turf in Darwin's own garden in Kent to illustrate the struggle for existence; he ropes down a chalk cliff to explore the age of the Earth; and he lets seeds soak in salt water for a month. The smelly results from this experiment prove that plants have the potential to cross oceans. These and other investigations gave Darwin the evidence he needed to publish his theory in 1859. 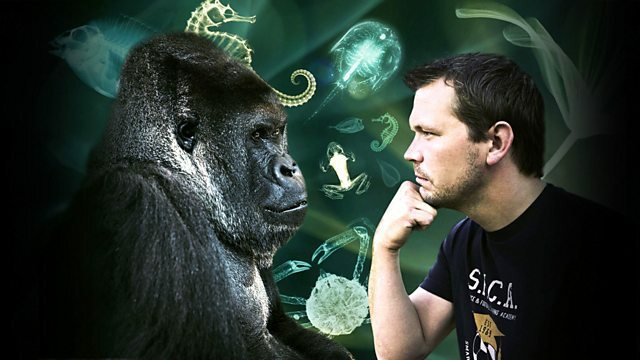 By replicating them Jimmy uncovers a dynamic Darwin, and through them reveals the secrets of evolution.